Your Smile. Your Health. Our Priority. 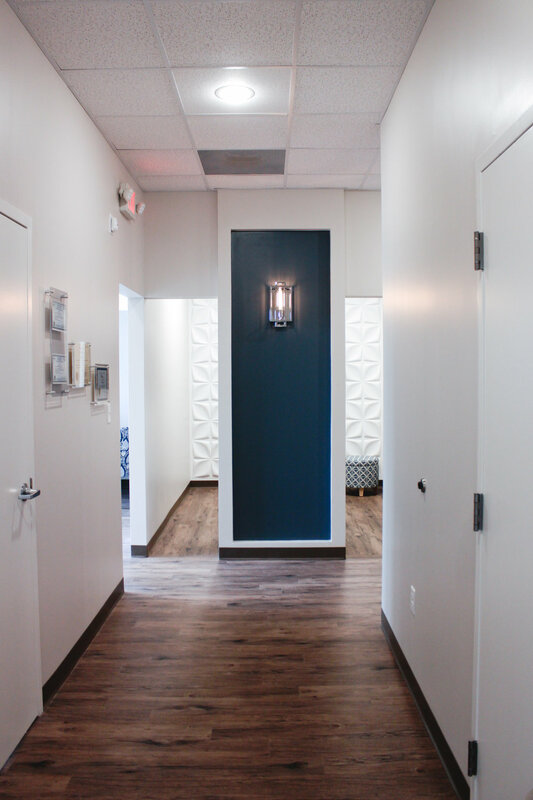 Our practice is dedicated to providing superior, personalized, and comprehensive dental care to each and every one of our patients. We take the time to get to know you and treat everyone who walks through our door like family. Here at 901 Dental we pride ourselves in offering affordable, high quality dental care for the entire family. Dr. Davis utilizes start-of-the-art technology to help ensure the best results possible and maximum comfort for all of her patients. We offer a wide range of services to help meet your needs, including same-day emergency appointments to help get you out of pain as quickly as possible. Dr. Danielle Davis was born in Phoenix, AZ and raised in Austin, TX. She attended the University of Texas at Austin for her undergraduate degree (Hook 'em Horns!) and went on to obtain her doctorate at Midwestern University in Arizona, where she graduated at the top of her class. Dr. Davis met her husband, a native Memphian, her very first day of dental school. Fun fact: They sat next to each other in class because they had the same last name...must have been fate! Dr. Davis is passionate about staying on the cutting edge of her profession and invests countless hours in continuing education every year. She truly cares for each and every one of her patients and treats everyone who walks through her doors like family. In her spare time she loves exercising, arts and crafts, baking, and spending time with her husband and sweet fur baby, LoLa. Amber is our rock star dental hygienist. She has a sweet, bubbly personality and truly loves getting to know her patients and making sure they are comfortable. She’s got years of experience and has never met a stranger. Amber was born and raised in a small town in Ohio. She worked as a traveling hygienist in Washington DC when she first graduated hygiene school and recently moved to Tennessee. Amber always knew she wanted to be a dental hygienist and has always had a love for teeth. Fun fact: She has tooth themed bathroom! Outside of the office Amber loves spending time with her family and new pup, Enzo. She also enjoys yoga, rollerblading, traveling, shopping, and eating ice cream! Jenny is probably the first person you'll get the chance to meet when you call the office. Jenny is from Chicago, IL and moved to Cordova, TN about 12 years ago. There she met her husband and had 4 beautiful children. Besides being a full-time momma, Jenny loves being a dental administrator! When asked about her role here at the office she replied, "At 901 Dental I want you to feel like you can come and ask me anything, and I will do my best to answer any questions you may have. I'm here to make your visit pleasant and want you to feel as if you're part of our family. We want to make sure you know that we are here for you!" Hannah is our youngest (and shortest) dental assistant. She has a passion for what she does and is incredible at making her patients comfortable and always ensuring they receive the best care possible. You won’t ever see Hannah without a smile on her face and she’s up to help wherever she can! Hannah was born and raised in the 901. She has a puppy named Leia and enjoys spending weekends outside, coffee, all things Disney, and spending time with her family! 901 Dental is conveniently located off Hwy 64, just west of Houston Levee/Canada Road (right across the street from the Waffle House). 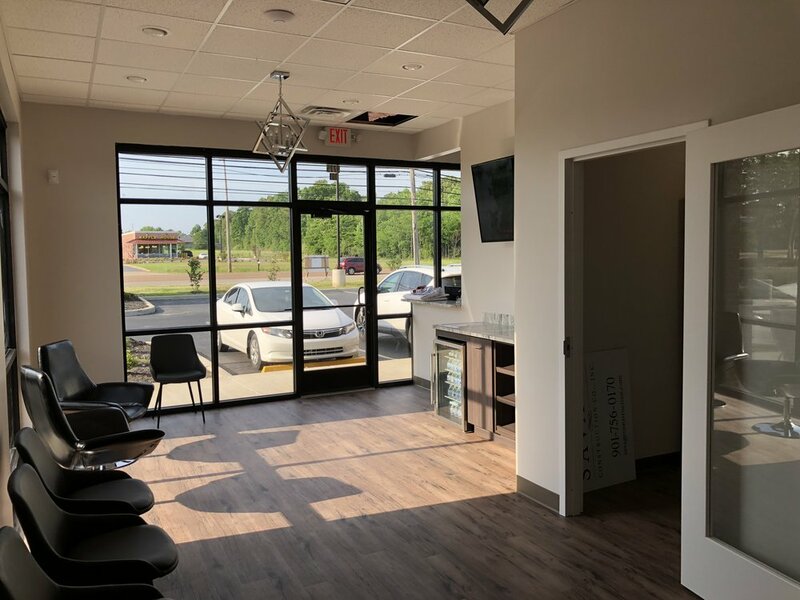 The practice is equipped with the latest in dental technology, including large screen TVs on the ceiling, Roku/Netflix, digital scanning, and more! Give us a call today and come see how we do dentistry, differently.